BOCA RATON, Fla. - March 7, 2019 - PRLog -- Appropriately in time for Women's History Month, Boca Beach Chabad has launched its new "Women of Valor: Sharing Stories, Celebrating Lives" program. 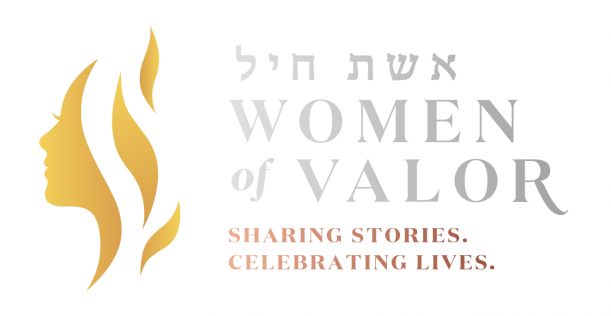 The Women of Valor program, which features a tribute book as well as a website at WomenofValor.Life (http://www.womenofvalor.life/), is designed to celebrate, share and gift the stories of Jewish women who inspire and build their families, our communities and the world. Men, women, children, spouses, peers, colleagues, students, friends and acquaintances are invited to share and dedicate stories of the special women in their lives:stories of inspiration, courage, humor, strength, perseverance, and commitment via the online platform. They are also welcomed to gift a page in the Women of ValorTribute Book. "In the fractured world in which we live, we needto hear the voices, life experiences and insight of women today more than ever before," said Rabbi Ruvi New, Director and Spiritual Leader of Boca Beach Chabad. The 100-page tribute book will be edited by Lieba Rudolph and designed by renowned interior designer and artist Alexandra Karram.Alexandra's late mother Miriam, whose legacy was the impetus behind the project, is also featured in the Woman of Valor Tribute Book. Alexandra's husband Doug Feuring, a real estate investor, said: "Dedicating a page is an extraordinary opportunity to do something we rarely are able to do: truly recognize and celebrate the very meaningful women who have impacted our lives in such positive ways. We all have powerfully benefited from one or more women who have helped shape our lives and who we are today. There often aren't many ways to give voice to the lives of such women outside of our own families — but inclusion in the 'Women of Valor' book does just that; it's a beautiful gesture of love and gratitude." Other featured Women of Valor to date include Sybil Silver, Founder of the Jewish Heritage Foundation, and Chaya Shuman, the beloved mother of Charles Shuman, who splits his time between Boca Raton and Buffalo, New York. Boca Beach Chabad has a track record of nineteen years of innovative Jewish educational programming, with a particular emphasis on women. Boca Beach Chabad is taking the lead on this timely endeavor, which is being made possible by a group of charitable supporters and activists that includes Boca Raton residents Myrna Gordon Skurnick, Pamela Dubin and Elliot Popper. "Every woman has a story waiting to be told, and being included among Women of Valor is a gift of appreciation that lasts a lifetime and beyond," said Ahuva New, co-director of the Boca Beach Chabad. "These stories spread the light of Jewish women via their experiences and highlight what is extraordinary about each of our mothers, grandmothers, wives, sisters, aunts, cousins and friends." To celebrate the official launch of this groundbreaking program, Scott Singer, Mayor of the City of Boca Raton has proclaimed March 12, 2019 as "Women of Valor" Day to recognize the Boca Beach Chabad's 19 years of service to the community; the projects celebration of women and their stories; as well as the Women of Valor staff, volunteers and supports for their devotion and betterment of the community. The proclamation comes one week before the Jewish Holiday of Purim, which celebrates the salvation of the Jewish people from extermination in ancient Persia, in 357 BCE, and the key role played by the Jewish Queen Esther in bringing about the salvation of her people. Join Boca Beach Chabad for Shabbat services and dinner on Friday, March 15, 2019 to learn more about the Women of Valor platform and hear from Karen Levitt, Director of Business Planning and Project Support at the City of Vancouver. The former Director of Olympic Games Strategic Planning will explore female leadership and contemporary feminism. Learn more at https://www.chabadbocabeaches.com. Being included online or in the book "Women of Valor" is a gift of love that preserves the story of loved ones and creates a legacy that can be read and shared from generation to generation. The Women of Valor project will also include events to further celebrate the stories and achievements of leading women of business, education, community service, and other fields. Book submissions may be made online, until June 2, 2019 on the website at http://www.womenofvalor.life. Boca Beach Chabad has created the "Women of Valor – Sharing Stories, Celebrating Lives" project to celebrate and share stories of women who inspire and build our community and world. The Women of Valor project seeks to celebrate generations of women and share stories of inspiration, courage, humor, strength, perseverance, and commitment through the Women of Valor Tribute Book and WomenofValor.life platform. Boca Beach Chabad community has started this timely and important endeavor to elevate and give voice to the foundational role of women to our families, lives, businesses and communities. For more information, please visit http://www.womenofvalor.life. Boca Beach Chabad, also known as the Chabad of East Boca, is the only Jewish Centereast of Federal Highway in the heart of Boca Raton, FL. More than just a synagogue, Boca Beach Chabad reachesthousands through its plethora of programming, including: adult education classes, community-wide Holiday celebrations, Jewish single's events, widely distributed publications, the Jewish Women's Rosh Chodesh Society, hospital visitation, counseling and crisis intervention, Hebrew Schooland other youth programs. Services are welcoming, warm and inspirational. Boca Beach Chabad's doors are open to all, regardless of background or affiliation. For more information, please visit https://www.chabadbocabeaches.com.